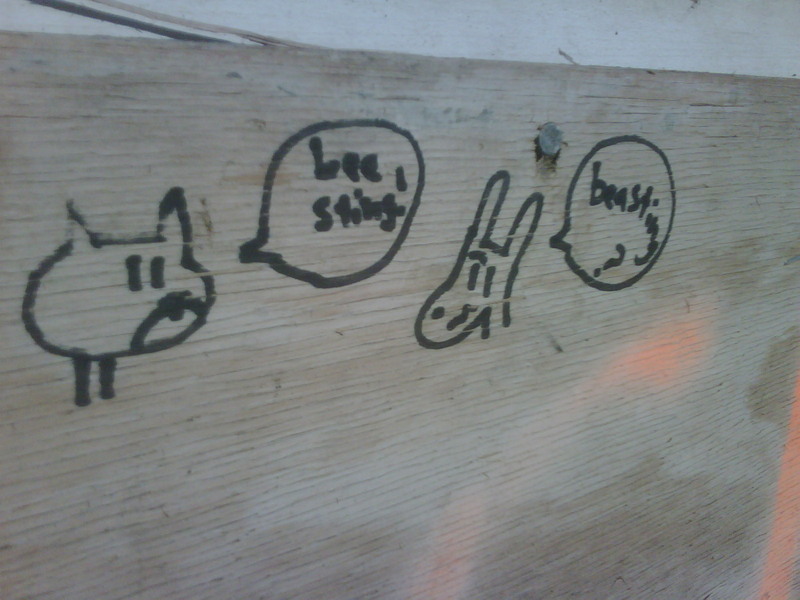 :: Construction Graffiti ::: Beasting! 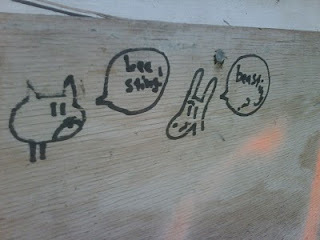 I've never really come across any construction graffiti that I really considered cute, but this certainly comes close. Of course, cute is completely undone by the nuanced reference to the sadistic British Military "Character Building" which shares the same moniker the little guy on the right seems excited about. That, in essence is construction graffiti.